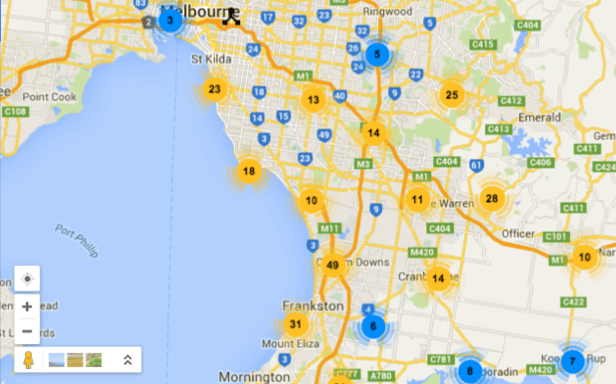 South East Water provides water and sewerage services to over 1.3 million Melbournians. They required a new web-based framework to host and display various asset management and operational systems and other related data to provide real-time visibility and business analysis. OneAsset is a web app that provides a powerful and flexible framework that can be extended to incorporate future applications. 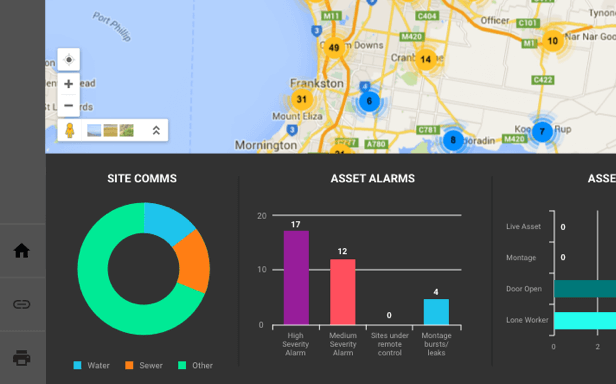 It is a systems integration and data visualisation framework, used as a tool for South East Water operators to quickly and easily view information about its network of assets such as pipes, pumps and gates. The challenge was that operational data and visibility of South East Water’s systems were in different systems. These needed to be integrated and presented using leading edge web technologies (HTML5, AngularJS) to graphically present the data in a meaningful way to users, who ranged from operational staff to senior management. The framework also needed to have the capability to be extended to display data from other applications or data sources as additional themes and layers (for example, SCADAWEB and electricity outages). The brief was to develop a dynamic, highly interactive presentation layer user interface (UI) to sit across core asset related business systems. A UI review was conducted, based on the visual elements and layouts present in the existing SCADA (supervisory control and data acquisition) system. The aim was to clarify requirements with respect to behaviour of the UI rather than establish a fixed visual mock-up of the system. 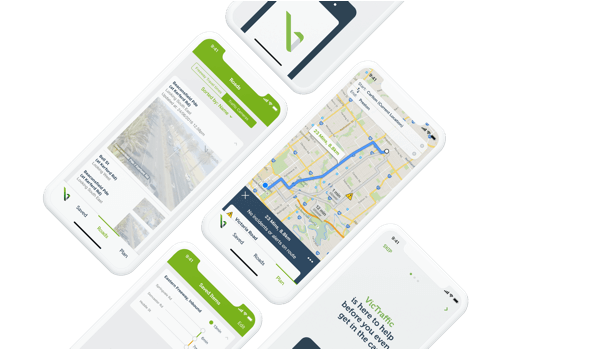 The final interface design is simple and clear to allow users to view information in multiple ways depending on what is needed for their job and the task at hand. Our expertise integrating disparate data sources and systems via APIs and overlaying them onto a map interface is one of the reasons that initially led South East Water to us. The OneAsset framework is modular, based on reusable libraries of code that can be extended to consolidate other South East Water systems at a UI level. We developed a backend application to integrate varying forms of data from the various systems via their APIs. The data is transformed and then served to a desktop browser in a meaningful and instantly interpretable way by South East Water users. A consolidated view of assets was achieved by bringing together separate sources of operational data that operated ‘in silos’, and giving visibility of the ‘whole picture’ of their assets’ performance to individual users.